Chris Geier will also be demonstrating a new offering from K2. 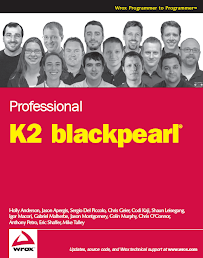 K2 blackpoint is for SharePoint users that want the ability to build workflows and process-driven applications quickly – without code, without complexity. With an easy-to-use Office-style designer, create powerful and flexible applications that increase the efficiency of your business. For more information, go to http://www.blackpoint.k2.com/.